[♥]Every single morning this week I have woken up to the sound of my very loud and obnoxious internal struggle. You know the one. One foot on the floor - I hate this, I’m so tired - two feet on the floor - I hate work - walk to the sink - UGHHH I look terrible - put contacts in - Whatever. I don’t even care what I look like today. That has been me, every morning. And if I don’t get my coffee? Whew lord - let’s not even discuss that as an option. I’m recognizing this because this isn’t my normal function any more, and it used to be. I used to wake up every single day with a poor outlook on life. It was real pathetic, because I’m a happily married woman with very little to complain about in the grand scheme of things. We all have bad days and weeks though, right? So I’m trying not to beat myself up about it and just kind of give myself a free pass this week. But ya know? It really got me to thinking about what I’ve changed in my life to get to the point where bad moods and negative self talk aren’t the norm any more. I think I figured a few of them out..
1. I started exercising. - But seriously. I used to be one of those people who wanted to punch anyone that told me I was exhausted because I wasn’t doing something that would OBVIOUSLY just make me more exhausted. What kind of logic is that?! But HA, I’ve been proven so wrong and now I’m completely advocating that advice. Go for a walk, do like 15 minutes of yoga and stretching when you have a spare moment, etc. If you get distracted easily when you’re alone like I do, think about joining a group exercise class. Group fitness has saved me from myself because anytime I’m left to fend for myself in a gym or at home- I get bored, overwhelmed, or too focused on negative thinking about how I’d rather be eating chips on a beach somewhere. 3. I stopped obsessing. - I used to obsess over things that were bothering me, for days, and days. For example, if someone seemed irritated I would automatically wonder if they were upset with me specifically and then spend all of my time being worried about it. That is A) a very self involved way to think and B) a very exhausting way to live life. If something is really bothering me I find a way to resolve or let it go. I still have days where something will bug me more than normal, but we all have those! If I really can’t shake something I busy myself with something I enjoy doing until whatever is bothering me subsides. 4. I started living in the moment. - It can be pretty easy to be distracted from being present in the moment with all of the technology that we have at our finger tips constantly. I love to document life through photography and blogging but I’ve tried to find more of a healthy balance lately. I choose to leave my DSLR at home when I know it will just be a distraction/annoyance and I try to remain self aware of my phone use. Sometimes I just HAVE to Instagram a photo RIGHTNOW but then I try to put my phone away. ;] As for blogging, I’m still working on that balance. I try really hard not to work on anything late into the night and utilize my free time wisely. I don’t beat myself up if life gets in the way of blogging. 5. I stopped sweating the small stuff. - Cheesiest saying ever but it’s true. I have finally learned that no one in my day to day life really cares if I have on eyeliner or if the curl has fallen out of my hair. I never really thought that they did but I worried about it as if someone actually did. If my house gets a little dirty from time to time because I’m busy living - it’s ok. I’ve traded in the time that I used to spend freaking out about perfect makeup, daily washed hair, and an organized house for the gym, time spent with Nate, and sleeping in. I’m much more sane for it and I highly doubt anyone has even noticed the difference. Ha. What about you? 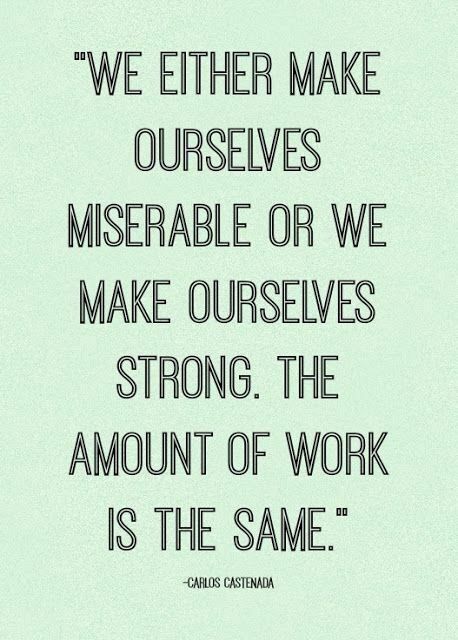 What keeps your life in balance and your mood in check? Have you set out to change any bad habits? For me it has really required a daily conscious effort and focus on positivity, but I am happy to say that this way of thinking has mostly become a habit for me now. I’d love to hear your thoughts! For those of you who just read the title of this post and immediately thought of Saves The Day - 10 points for you. I can’t think of a better way to describe life lately though. I literally can’t slow down and I’m loving it. Lately it’s been crazy work weeks and jam packed weekends. My intentions to get my house clean last weekend were outweighed by brunch with Nate, silk classes, a hair appointment, shopping, and porch sitting! I scheduled a hair appointment prior to a crazy work week as an incentive to just get. through. it. I haven’t had anything done professionally to my hair since last August, so it was time! My hair stylist is the best and she was super excited when I told her I wanted pink and turquoise added in to my blonde! She kept me in suspense while drying it and styling it. I am absolutely in love with it. After my appointment I went over to my Mother-in-law’s house. She wanted to take me to check out a patio furniture set that she found on sale at Kohl’s. Nate and I have lived in our house for four years now without any outdoor furniture. She wanted to get us something or our anniversary so we went and looked at it to make sure it was something we would like. Needless to say - we have a beautiful little place to sit on our front porch now. I bought a cute floral pillow to add the finishing touch. I just need something pretty for the table now! Nate and I have already spent a few hours out there just reading and hanging out. This weekend has been pretty good so far! We kept with the tradition of Saturday brunch and as per usual I got up and went to Aerial Yogilates and Silks class. Last night we went out to a new Beer Hall here in Lexington with a few friends, got taco truck food for dinner (SO GOOD), and went to check out a performance by my aerial silks instructor. It was a nice but busy evening that left me with a very huge need for coffee this morning! Besides making it to class, going to brunch, and buying bunny hay for the baby bunnies - I have been very unproductive today. I Facetimed with my Mom from my new iPad (!!!!) and binge watched episodes from Season 3 of GIRLS (on my iPad). I’m obsessed with my iPad! I can’t even tell you how fantastic it is going to be to use it to manage my Pure Romance business!! I feel like this year is flying by so quickly already. It really hit me on June 12th when we celebrated our four year anniversary. So much has changed in four years. We’ve gone through some good times and some really hard times - but here we are - stronger, more in love, more confident in who we are as individuals. I’m looking forward to such a good summer full of wonderful memories. A summer dedicated to living life to the fullest. I hope you do the same! Okay so, let’s face it: making a salad isn’t all that hard. Right? But for the longest time whenever I would make a salad at home, I just never got it quite right. My salads always turned out pretty bland and I never felt full. Here are some tips that I’ve learned to make a freaking amazing salad right at home - quick and easy! 1. Use baby spinach. - Nate and I love baby spinach, so this might be more of personal preference thing. But the regular ol’ iceberg lettuce isn’t all that great for you anyway, so try to upgrade to something a little more nutritious with more flavor! 2. Add Variety. - I love sweet and salty foods so I really enjoy mixing in fruits, veggies, nuts, olives, etc. In the salad shown above I have included: strawberries, raspberry, blueberries, tomatoes, grapes, carrots, broccoli, avocado, green olives, almonds, colby cheese, and 4 pieces of pepperoni! You should typically add a protein of some sort - chicken, pork, steak, beans, etc. I didn’t this time. 3. Everything in Moderation. - Don’t skip your favorite toppings! I love cheese and pepperoni. These aren’t the healthiest things to add in but I make sure to only add just a few pieces of each to satisfy that craving. You could always substitute a stronger tasting cheese in order to use less of it for the same amount of flavor. 1. Mix one part red wine vinegar with 2 parts olive oil. 1. Mix one part balsamic vinegar with 2 parts olive oil. Those are pretty easy, right? I’m sure there are a million other healthy salad dressing recipes on the internet but these are flavorful, easy, and mix well with the variety of stuff I put on my salads! That little bit of bite from the vinaigrette mixes so perfectly! Do you make salads at home? Do you have a favorite homemade dressing recipe or a favorite “topping”? I’d love to hear it!